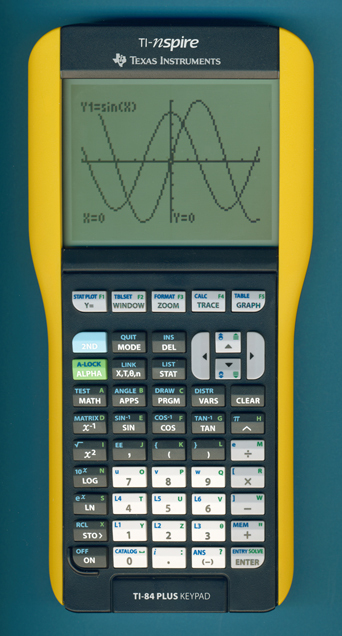 To reduce theft of this new school-owned TI-Nspire calculator, Texas Instruments introduced on March 8, 2010 the EZ-Spot Teacher Packs with a bright, easy-to-spot, "school bus yellow" frame and slide case. In the United States the new calculator was listed on the TI website as a complement to the TI-Nspire with Clickpad while in some other countries, e.g. Germany, the calculator was introduced as successor to the previous model. The new Operating System 2.0 and some internal labels on the PCBs (printed circuit boards) of the calculator suggest indeed the switch to a "TI-Nspire 2".